The pilot skills crisis is impacting aviation on a global scale, but European airlines have been affected in a distinctly different way. This was the subject of our latest in-depth white paper – ‘Grounded before take-off: EU regional pilot shortage perspective two years on’ – which put the key issues and potential resolutions surrounding this under the microscope. In this blog, we’ll focus on the practical actions European airlines can take to mitigate the pilot skills crisis. 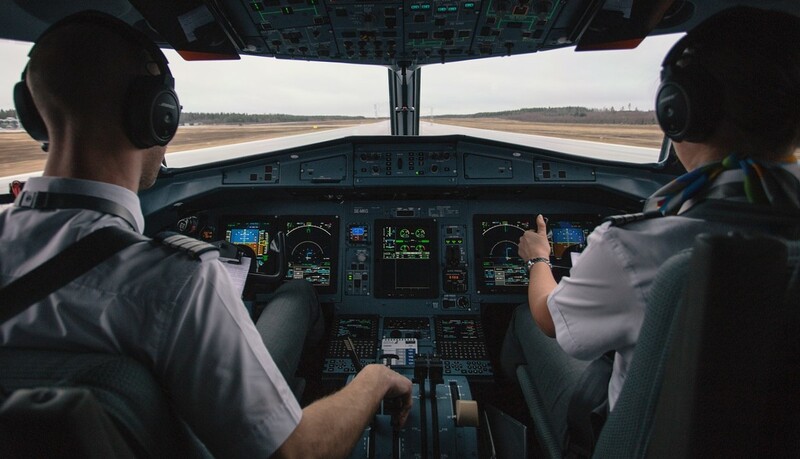 What can European airlines do to overcome the pilot skills shortage? However, partnering with an experienced, specialist aviation recruiter is the most direct way to maintain a strong operation. Even in the most testing of markets, our expert recruiters have used their strategic knowledge to secure highly skilled and motivated pilots for our valued partners. Shelling out more on salaries is never an easy decision. However, there will soon come a point when the amount you stand to lose due to service disruption will outweigh improved remuneration. The cost of grounding an Airbus A380 for just a few hours would come in at around £41,800, while keeping it on the tarmac for an entire day would cost £773,740. This is several times the amount required to train a pilot in full. Crucially, this would help new pilots cover the prohibitive costs of training-related loan repayments. The expense of pilot training is well documented. But, you can use this to your advantage, and to benefit your trainee pilots. You could consider setting up a dedicated training wing for your aviation company. With this, you could help cut training costs for new pilots. Europe is also a favourite destination for trainee pilots from around the world. During 2015, 48% of UK licences and 20% of the European total were issued to non-residents who’ll ply their trade elsewhere. For example, AirBaltic has just opened a new training facility for prospective pilots in Riga, Latvia. So, this could even become a lucrative additional revenue stream for your airline. The FTA has almost halved the cost of gaining a frozen ATPL using a combination of these techniques. Elsewhere, the European Flight Academy has helped standardise training provision across the continent by combining training centres that were once separate. With over 85% of pilots in the US being white and male, it’s clear that aviation needs to become more diverse. Taking steps to attract a broader range of pilot demographics will give you more options when looking to hire. For inspiration, read up on EasyJet’s ‘Amy Johnson Flying Initiative’ and #SheFlies campaign, Emirates’ ‘Superwomen flight’ or the ‘International Women in Aviation Conference’. If this has got you thinking, check out our brand new white paper. This will help you really get to grips with the issues and potential solutions at play. Gain the recruitment resources and strategic insight you need to ride out the pilot skills crisis by calling on the experts at AeroProfessional.